Officially, human already given their voice to machine, now machine speaks same as human or even more accurate than human. 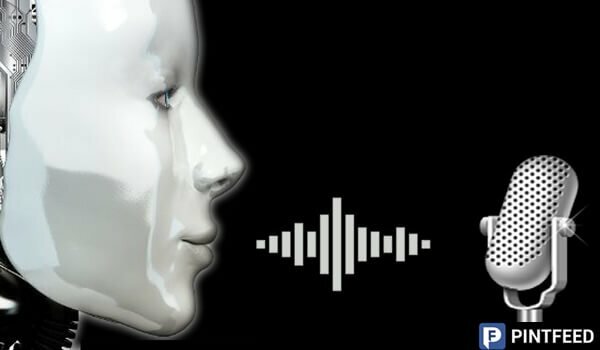 A research paper published by Google this month—which has not been peer reviewed—details a text-to-speech system called Tacotron 2, which claims near-human accuracy at imitating audio of a person speaking from text. The system is Google’s second official generation of the technology, which consists of two deep neural networks. The first network translates the text into a spectrogram (pdf), a visual way to represent audio frequencies over time. That spectrogram is then fed into WaveNet, a system from Alphabet’s AI research lab DeepMind, which reads the chart and generates the corresponding audio elements accordingly. Here is the sample voice of AI and human. Its hard to find difference between which is of AI and which is of human. The publish paper describes Tacotron 2, a neural network architecture for speech synthesis directly from text. The system is composed of a recurrent sequence-to-sequence feature prediction network that maps character embeddings to mel-scale spectrograms, followed by a modified WaveNet model acting as a vocoder to synthesize timedomain waveforms from those spectrograms. Our model achieves a mean opinion score (MOS) of 4.53 comparable to a MOS of 4.58 for professionally recorded speech. To validate our design choices, we present ablation studies of key components of our system and evaluate the impact of using mel spectrograms as the input to WaveNet instead of linguistic, duration, and F0 features. We further demonstrate that using a compact acoustic intermediate representation enables significant simplification of the WaveNet architecture. All of the below phrases are unseen by Tacotron 2 during training.